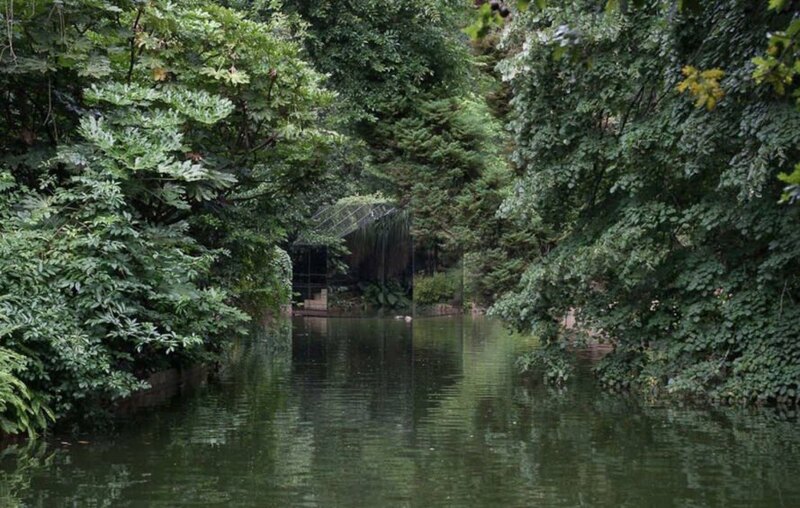 Portuguese architecture agency <a href="http://www.depa.pt/" rel="nofollow" target="_blank">depA</a> has hidden a pavilion in plain sight. 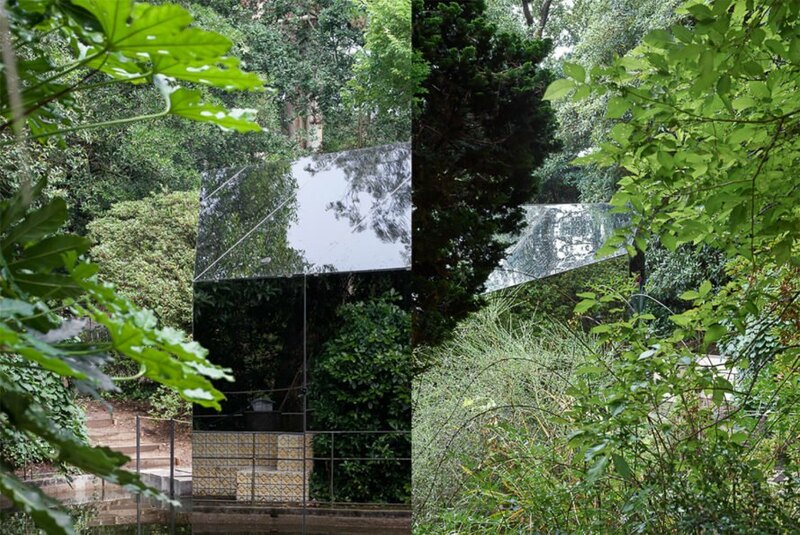 This camouflaged structure, clad in <a href="https://inhabitat.com/index.php?s=mirror" rel="noopener" target="_blank">mirrored</a> panels, appears to disappear into the lush green landscape and houses an impressive artwork for those who manage to find their way inside. 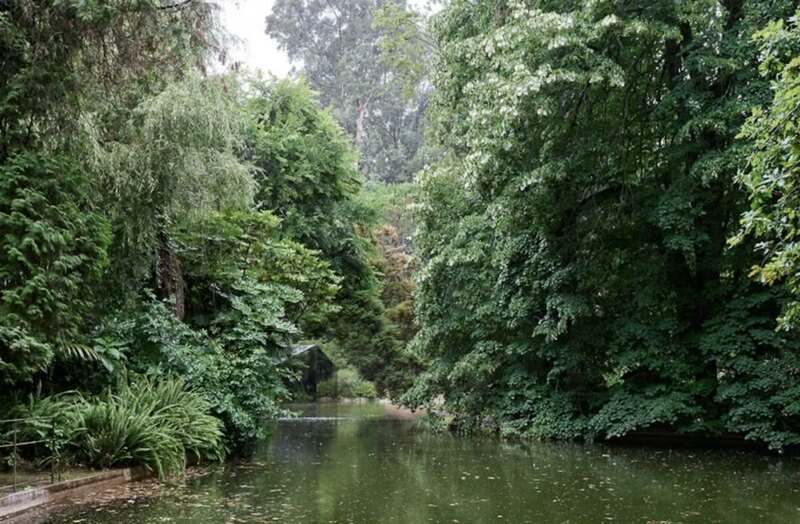 Located in Porto’s Serralves Park, the aptly named Liquid Pavilion is a temporary installation belonging to the famed Serralves Museum, Portugal’s leading contemporary art museum. 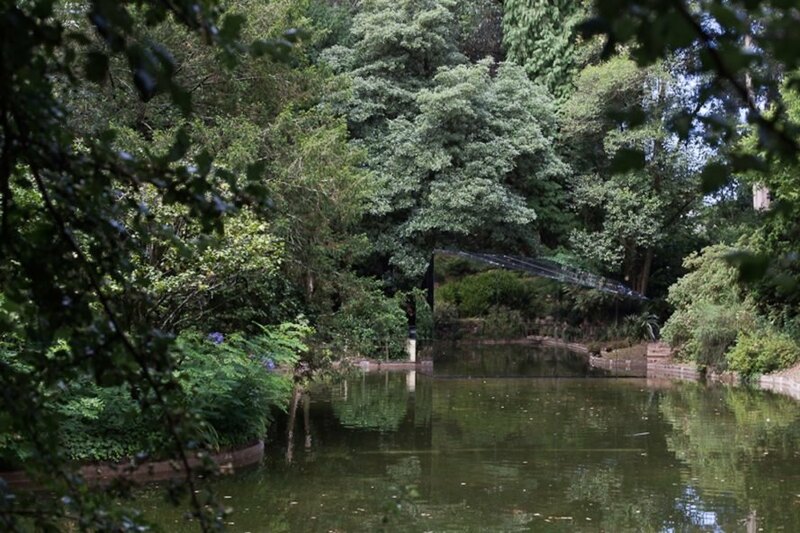 The mirrored Liquid Pavilion reflects images of the lake and lush foliage, rendering it nearly invisible to passersby. The architects designed the pavilion to evoke the form of the Serralves Museum, designed by Pritzker winner Álvaro Siza Vieira. The pavilion’s placement in the landscape and use of reflective material makes it a visual bridge between the museum and park, at once relating to the museum with its form while simultaneously blending into the landscape. The pavilion’s “concave polygonal” layout makes the interior suitable for projecting films, like the currently featured piece “O Peixe” by Brazilian artist Jonathas de Andre. 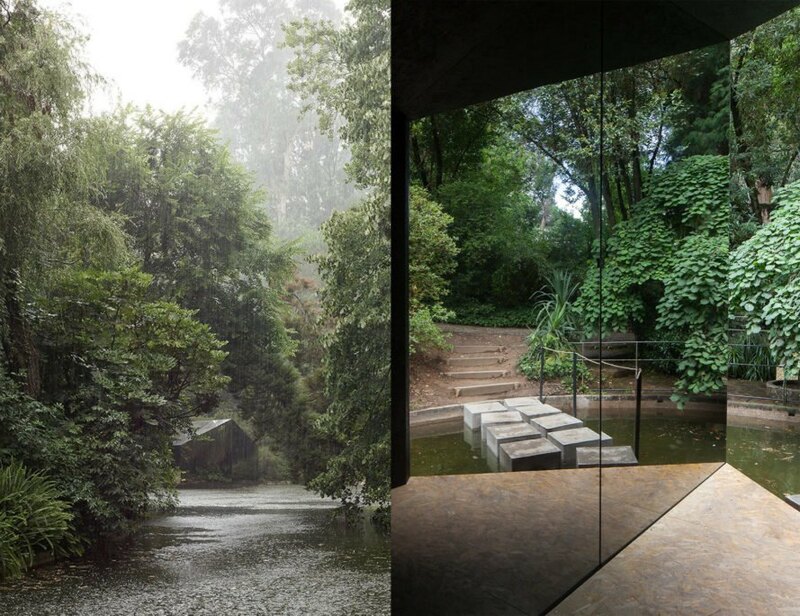 Portuguese architecture agency depA has hidden a pavilion in plain sight. This camouflaged structure, clad in mirrored panels, appears to disappear into the lush green landscape and houses an impressive artwork for those who manage to find their way inside. Located in Porto’s Serralves Park, the aptly named Liquid Pavilion is a temporary installation belonging to the famed Serralves Museum, Portugal’s leading contemporary art museum.